The decisions issued Wednesday by our nation's highest court only magnify the need for God's people in America: individuals, families and churches, to heed His remarkable appeal found in 2nd Chronicles 7:14. The moral and spiritual blindness of our many of our nation's top political leaders and judges is clearly stunning. But we should not be surprised by this darkened understanding (Eph 4:18), it is the by-product of a people who have forgotten God. Every follower of Christ should be troubled by our nation's continued rejection of God's revealed truth. However, we must not become discouraged in our call to live by and be a witness for the Truth. Jesus, Himself gives us very clear instruction in Luke 18 that we must not be discouraged, rather we should pray. I remind you there is a higher Court of Appeal whom our nation's Founders addressed as the "Supreme Judge of the World." That is the Court where you and I have been appointed to serve as advocates, under the authority of our Chief Advocate, our Lord Jesus Christ (see Heb 7:25). This Sunday, June 30th is Call2Fall. In 2009, the Lord led FRC to launch a Call2Fall, which is based upon 2 Chronicles 7:14. This call in 2 Chronicles 7:14 is not to the political, it's not to the powerful or the prominent, it's to God's people. 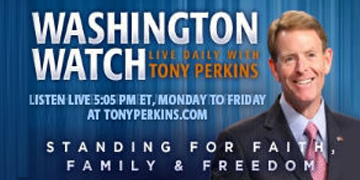 Will you join over 1.7 million other Christians on their knees this Sunday crying out for the Church, for America? 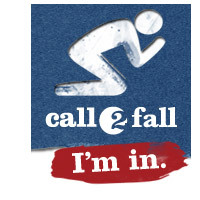 If you have not already done so, I urge you to ask your pastor to lead your church in Call2Fall, and if he cannot, for you to lead your family in a private time on your knees, uniting with over 1.7 million believers and churches who have already pledged to do so this Sunday, June 30th. Please join us. Everything you need to know can be found at www.Call2Fall.com. 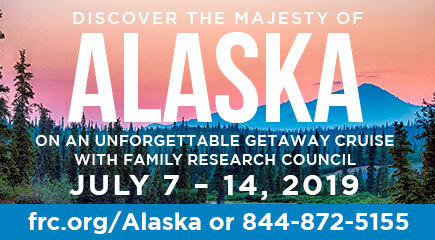 Please visit the site and let us know you will be with us by clicking, "I'm In!" And when we rise from our knees, may we heed the Apostle Paul's exhortation in Ephesians 6:10-20. May we be strong in the Lord, protected by His armor, equipped for spiritual warfare, and engage in the struggle ahead, and after we have done all, stand and pray -- especially for the successful proclamation of the Gospel!